As I think I’ve mentioned on the blog before, I’ve been having trouble with my right wrist for several months now. I saw my family dr about it a couple of months ago and she told me it was tendinitis and just to wear the wrist brace as long as it hurt and that was that. But, after doing that for months and it getting worse instead of better, I decided maybe it was time to see a specialist and see if there was something else I could be or should be doing for it, or if I was just stuck with the pain. That appointment was this morning. I was looking forward to the appointment to see if there was something that could be done to help, but I was not looking forward to getting on the scale. I haven’t been eating all that stellar lately nor tracking my points with Weight Watchers, and with the ankle and feet issues I obviously haven’t been exercising. So I was 100% expecting to have gained back most, if not everything, I lost with Weight Watchers before the ankle problems and everything. So imagine my surprise when I looked down at their scale and it weighed me 5 lbs less than the last time I weighed in at Weight Watchers. I figured their scale was just flattering me, so I came home and weighed myself here and weighed 5 lbs less here too. So I actually have lost 5 lbs! 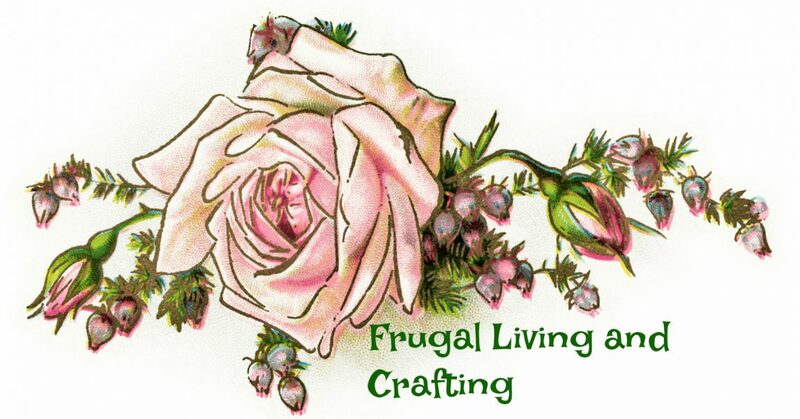 What does this have to do with frugal living, you may be wondering? It has EVERYTHING to do with frugal living. The only reason I’ve lost those 5 lbs is because Hubs and I are cooking and eating at home. Eliminating the fast food and the take out and simply cooking healthier foods at home has melted those lbs off of me without my even realizing it. So while I have been eating too much, and not always snacking on the best foods, I am getting in a lot more produce, cooking healthy lean meats and eating rice flavored with seasoning and not butter or cream. This compared to burgers and fries or Mexican takeout. And I haven’t given up my Mexican! We have taco salad at least once a week, but we make it with lean ground turkey and I have it atop a big pile of salad and eat only a few chips with it, so it’s still a healthy choice, and frugal as well. I have to say, I’m feeling pretty good about this right now. I felt like I had totally shoved my health into a corner and was focusing on everything else, but as it would turn out, focusing on being frugal focused on my health as well. If that isn’t a winning reason to keep on cooking healthy, frugal foods, eating at home, and saving money… I don’t know what is! Hope everyone’s week is getting off to a great start! Previous Happy 4th, Fellow Americans!